Linda Marie Malouf, of Santa Monica, CA, and native of Marshfield, MA, died in faith at age 54 on January 12, 2019. Linda was extraordinary. Multi-talented. Brilliant. Overflowed with selfless love. She had a tremendous passion for music, truth, justice, and never gave up hope and her sense of humor. Linda was humble and highly accomplished, a prodigy as a drumset artist, songwriter, music instructor, and studio recording artist. Above her passion for music, was a deep love of God, family, and friends. Amidst a fierce battle, Linda was a brave soul who inspired others to passionately pursue their dreams. Linda’s had a rich history of international performances which includes: renowned jazz artists such as Peter Herbert, Wolfgang Muthspiel, George Garzone, Frank Mobus, Carolina Brandes, Christian Diener, John Lockwood, and Eugene Maslov -- and opening acts for major label country stars such as: Alan Jackson, Grethchen Wilson, Tracy Byrd, Josh Turner, and Julie Roberts, as well as best selling female vocalist of the Middle East Nancy Ajam, and many others. Educational credits include: a Bachelor of Music from University of North Texas, an ATP Diploma in Audio Technology and EMP Certificate of Electronic Music Production from the SAE institute of Los Angeles, and other certificates and degrees in Digital Audio and Electric Music production. Extensive private drumset and percussion studies with internationally acclaimed educators include: Gary Chaffee, Alan Dawson, and Dr. Robert Schietroma (former president of PAS.org Percussive), post graduate studies in jazz piano. She earned significant credits from Harvard University Extension school in Law, Ethics, and Theology, as well as towards a master of Theology from Andover Newton Theological School Concentration: Ethics and Social Justice. 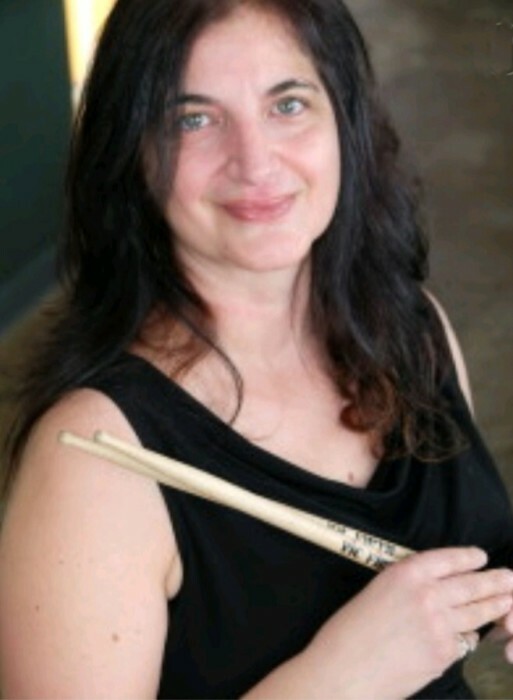 Her teaching includes Faculty at Santa Monica Conservatory of Music, former Faculty Instructor at Berklee College of Music, a longtime private teaching practice as well as drumset clinician for Sabian (Cymbals Co.), Ltd. Linda is known for being generous in giving to her students all the knowledge she accumulated over the years, eager to pass it on and inspire others to thing big, reach high, and dream vivaciously. Linda is the beloved daughter of Suham “Sue”(Stephan) Malouf and the late Jean “John” Malouf; dear sister of Delilah J. Dirksen of Hampton, NH and the late Michael J. Malouf; sister-in-law of Peter C. Dirksen; Aunt of Joshua P. Dirksen and Shanley Marie Droz Linda is also survived by many loving Aunts, Uncles, Cousins, Friends and students who she mentored and inspired. Linda's Funeral Service will be held Wednesday at 10:50 a.m. at Our Lady of the Annunciation Cathedral, 7 VFW Parkway, WEST ROXBURY. Visitation in the Cathedral beginning at 10:00 a.m. Relatives and friends respectfully invited to attend the services and the luncheon celebrating Linda’s life immediately following the services in the Cathedral Hall. In lieu of flowers, contributions in Linda’s memory can be made to The UCLA Foundation to UCLA Health Sciences Development, c/o G.O. Discovery Lab BOX 957280, CHS 17-135 Los Angeles, CA 90095-7280. www.godiscoverylab.com/donate. Linda will be laid to rest at Winslow Cemetery in Marshfield at 1 p.m. on Thursday. A future celebration of life service will be held in California, TBA.